If you're looking for the Ultimate Private Getaway, this is it. Where paradise and luxury come together as one. Punta Cana welcomes guest from all over the globe for unbelievable fishing, golf, climate, and a whole lot more. Although Punta Cana is less than two hours from Miami, it remains virtually undiscovered. Let me invite you to spend enchanting evenings and unforgettable days overlooking the Caribbean sea. Located just 10 minutes from the Punta Cana Airport, you'll be home in no time after your arrival. 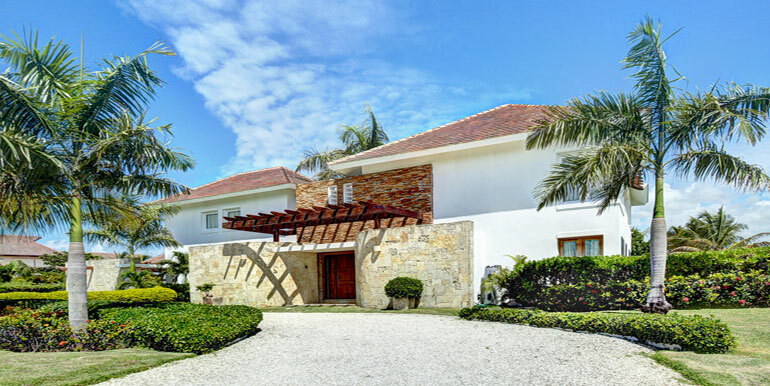 Villa Can Nico is located adjacent to the first green of the world famous La Cana Golf Course, designed by D.B. Dye. Enjoy a round of golf, a dip in the pool, or a fantastic meal at the country club just a few minutes walk away. Have you ever dreamed of spending a vacation in one of the worlds most spectacular destinations? Well, here is your chance. Villa Can Nico, located in the exclusive gated community of Tortuga Bay, is truly a dream come true. We hope to see you soon on your next vacation to paradise! We originally rented another of Dahiana's properties but two days before arrival she checked the villa and found a plumbing problem that made the house unusable. This could have been a huge problem but Dahiana quickly provided alternative properties and we chose villa Can Nico. Although the pool was a little small for our group the kids ended up loving it and the best part of the place was Juliana the boss house keeper and cook extraordinaire. We let her set the menus She helped with the shopping. Some nights we had 12 people eating and some 6. The timing and proportions were always perfect and the food was (URL HIDDEN) wife and the mothers of the young children were vey appreciative. The location of the villa was very good. A quick walk to the beach club and the eco park.It was great to have the Airport handy for guests coming and going. Dihiana was very attentive and although we didn't need much she constantly checked in to help. Overall highly recommended. Dahiana was a fabulous host. The Villa was beautiful and in great condition. Dahiana met us to show it to us and help us settle in. She reached out to us everyday and response D and delivered immediately when we needed something (e.g. golf cart, fix a TV, shuttle). The housekeeper on the premises, Juliana, was very sweet and took great care of us. I highly endorse Dahiana. We are here 7 days a week!